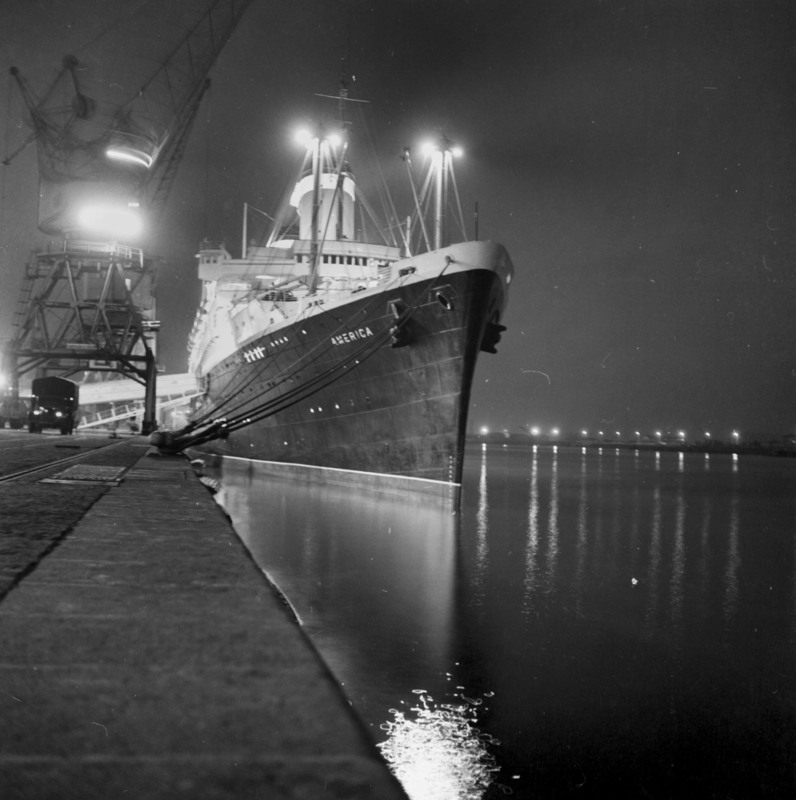 This collection depicts SS America in French port Le Havre in 1950s. SS America was built in 1940 for the United States Lines. Designed by the noted American naval architect William Francis Gibbs, she carried many names in the 54 years, as she served as the SS America, the USS West Point, the SS Australis, the SS Italis, the SS Noga, the SS Alferdoss, and the SS American Star. She served most notably in passenger service as the SS America, and as the Greek-flagged SS Australis. She was wrecked as the SS American Star at Playa de Garcey on Fuerteventura in the Canary Islands on 18 January 1994. The wreck remains there to this day but has now broken up and collapsed into the sea. Only a small section of the bow remains visible during low tide.